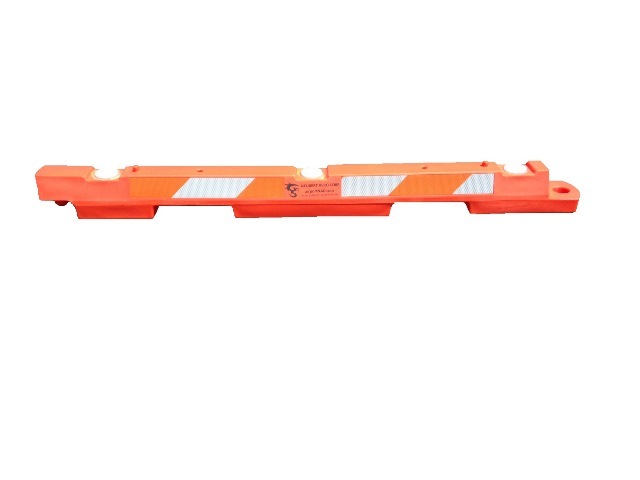 GD7240 (PC2410) Barricade is 72"L X 6"W X 6"H and includes alternating orange & white high intensity reflective sheeting. Three(3) safety light mounts(2" screw base ONLY), and two(2) 5/8” safety flag tapering mounts. Barricade can be filled with water or sand. THIS NAC-DYNAMIC FRICTION DECELEROMETER® (NAC-DFD®) MOBILE APP IS OWNED BY NAC DYNAMICS, LLC ("NAC") AND IS PROTECTED UNDER COPYRIGHT LAWS, INTERNATIONAL COPYRIGHT TREATIES AND OTHER INTELLECTUAL PROPERTY LAWS. THIS SOFTWARE IS LICENSED, NOT SOLD. THIS PRODUCT AND SOFTWARE IS PROVIDED UNDER THE FOLLOWING LICENSE WHICH DEFINES WHAT YOU MAY DO WITH THE NAC-DFD® SOFTWARE CONTAINS USAGE RESTRICTIONS AND LIMITATIONS ON WARRANTIES AND/OR REMEDIES. IMPORTANT - READ THE TERMS AND CONDITIONS OF THIS END USER LICENSE AGREEMENT (THE "AGREEMENT") CAREFULLY BEFORE DOWNLOADING, INSTALLING, OR OTHERWISE USING THE NAC-DFD® APPLICATION (THE "PRODUCT") OR SOFTWARE, (THE "SOFTWARE"). BY DOWNLOADING, INSTALLING, USING, OR OTHERWISE ACCESSING THE PRODUCT AND THE SOFTWARE, YOU ACKNOWLEDGE THAT YOU HAVE READ THIS AGREEMENT, THAT YOU UNDERSTAND IT, THAT YOU AGREE TO BE BOUND BY ITS TERMS AND CONDITIONS, AND THAT YOU ARE AT LEAST 18 YEARS OF AGE. IF YOU DO NOT AGREE TO THE TERMS AND CONDITIONS OF THIS AGREEMENT, PROMPTLY EXIT THIS PAGE WITHOUT DOWNLOADING AND/OR USING THE PRODUCT OR THE SOFTWARE. 1. 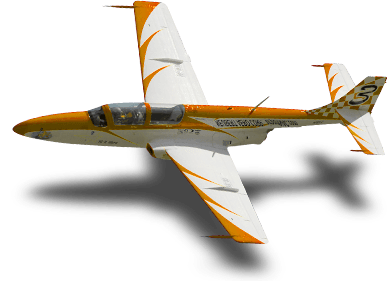 LICENSE: Subject to the terms and limitations set forth herein, NAC Dynamics, LLC and Neubert Aero Corp. ("we" or "us") grants you a limited non-exclusive license to use the Product and the Software in accordance with the terms of this Agreement. All rights not expressly stated herein are reserved by NAC, and NAC disclaims any and all implied licenses. The copyright and all other rights to the Product and the Software will remain with us. You must reproduce any copyright or other notice marked on the Product and the Software on all copies you make. b) install and use one copy of the Software on a single mobile device for use of the Software in accordance with this Agreement. h) use the Product to communicate to or with any mobile devices or products other than those mobile devices approved for use by or for NAC and/or its subsidiaries. 4. TERM: This User License will continue for as long as you use the Product or the Software for two(2) year(s). However, this License will terminate automatically without notice from NAC if you fail to comply with any of its terms or conditions. Upon termination you must immediately cease using the Product and the Software and remove the Product and the Software from your mobile device. The Limitations of Warranties and Liability set out below will continue in force even after any termination. 5. LIMITATION OF WARRANTIES AND LIABILITY: THE PRODUCT AND SOFTWARE ARE PROVIDED ON AN "AS IS" BASIS, WITHOUT ANY WARRANTIES OR CONDITIONS, EXPRESS OR IMPLIED, INCLUDING, BUT NOT LIMITED TO, ANY IMPLIED WARRANTY OF MERCHANTABILITY OR FITNESS FOR A PARTICULAR PURPOSE, OR ANY WARRANTY ARISING BY LAW, STATUTE, USAGE OF TRADE, OR COURSE OF DEALING. YOU ASSUME ALL RESPONSIBILITY AND RISK FOR THE USE OF THE PRODUCT AND SOFTWARE AND FOR THE USE OF ANY THIRD-PARTY WEBSITE, AND NAC DISCLAIMS ALL LIABILITY FOR ANY LOSS, INJURY OR DAMAGE RESULTING FROM USE OF THE PRODUCT AND THE SOFTWARE AND ANY THIRD-PARTY WEBSITE, WHETHER DIRECT OR INDIRECT, AND WHETHER OR NOT NAC HAS BEEN ADVISED OF OR HAS KNOWLEDGE OF THE POSSIBILITY OF SUCH LOSS, INJURY OR DAMAGE. IN NO EVENT WILL NAC HAVE ANY LIABILITY TO YOU OR ANY OTHER PERSON OR ENTITY FOR ANY COMPENSATORY, INDIRECT, INCIDENTAL, SPECIAL, CONSEQUENTIAL OR EXEMPLARY DAMAGES WHATSOEVER, INCLUDING, BUT NOT LIMITED TO, LOSS OF REVENUE OR PROFIT, LOST OR DAMAGED DATA OR OTHER COMMERCIAL OR ECONOMIC LOSS, EVEN IF WE HAVE BEEN ADVISED OF THE POSSIBILITY OF SUCH DAMAGES, OR THEY ARE FORESEEABLE. WE ARE ALSO NOT RESPONSIBLE FOR CLAIMS BY A THIRD PARTY. NAC'S TOTAL AGGREGATE LIABILITY WITH RESPECT TO ITS OBLIGATIONS UNDER THIS AGREEMENT OR OTHERWISE WITH RESPECT TO THE PRODUCT OR THE SOFTWARE WILL NOT EXCEED $1.00. THE LIMITATIONS IN THIS SECTION WILL APPLY WHETHER OR NOT THE ALLEGED BREACH OR DEFAULT IS A BREACH OF A FUNDAMENTAL CONDITION OR TERM OR A FUNDAMENTAL BREACH. Some states or countries do not allow the exclusion of incidental or consequential damages or the limitation of duration of an implied warranty so the above limitations may not apply to you. 6. RESTRICTED RIGHTS: If this Product or Software is acquired by or for the U.S. Government, then it is provided with Restricted Rights. Use, duplication, or disclosure by the U.S. Government is subject to restrictions as set forth in subparagraph (c)(1)(ii) of The Rights in Technical Data and Computer Software clause at DFARS 252.227-7018, or subparagraphs (c)(1) and (2) of the Commercial Computer Software - Restricted Rights at Title 14, Code of Federal Regulations (CFR), Part 139 (14 CFR Part 139), and ASTM E 2101 “Standard Test Method for Measuring the Friction Properties of Winter Contaminated Pavement Surfaces Using an Averaging-Type Spot Measuring Decelerometer”, as applicable. The contractor/ manufacturer is NAC Dynamics, LLC, 16110 Flight Path Drive, Brooksville, Florida 34604 USA. 7. EXPORT CONTROLS: You agree not to export or re-export the Product or the Software to any country in violation of the export control laws of the United States of America. 8. GENERAL: This Agreement is the entire agreement between us with respect to the subject matter hereof, superseding any other agreement or discussions, oral or written, and may not be changed except by a signed agreement. This Agreement will be governed by and construed in accordance with the laws of the State of Florida, United States of America. If any provision of this License is declared by a court of competent jurisdiction to be invalid, illegal, or unenforceable, such a provision will be severed from the Agreement and the other provisions will remain in full force and effect. 9. EAR: The Product or Software may contain information that is subject to the Export Administration Regulations ("EAR") issued by the United States Department of Commerce (15 C.F.R., Chapter VII Subchapter C) and that may not be exported, released or disclosed to certain destinations and foreign nationals except in compliance with U.S. law. The preceding statement is required to be included on any and all reproductions in whole or in part of the Product or Software. 10. INDEMNIFICATION: You agree to indemnify and hold harmless NAC Dynamics, LLC, Neubert Aero Corp. and its subsidiaries, affiliates, officers, agents, and employees, advertisers, licensors, and partners, from and against any third party claim arising from or in any way related to your use of the Product or Software, violation of this Agreement or any other actions connected with use of any content, including any liability or expense arising from all claims, losses, damages (actual and consequential), suits, judgments, litigation costs and attorneys' fees, of every kind and nature. 11. INTELLECTUAL PROPERTY: You acknowledge that Neubert Aero Corp. is the approved distributor of the NAC-DFT while NAC Dynamics, LLC owns all right, title and interest, including without limitation all intellectual property rights, in and to the Product and Software and that you will not acquire any right, title or interest in or to the Product or Software, except the limited license expressly set forth in this Agreement. 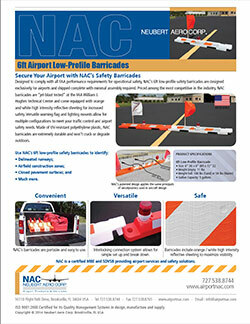 NAC’s Green Dragon™ Airport Low-Profile Barricade is aerodynamically designed exclusively for airports and has been Jet Blast Tested at the FAA William J. Hughes Technical Center. 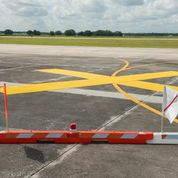 Barricade includes orange and white high intensity reflective sheeting, versatile warning flag mounts, and safety lighting mounts(3) allowing for multiple lighting configurations to meet your airport safety plan needs. Made of UV-resistant polyethylene plastic and are extremely durable. Storage and shipping is easy with our custom designed dual "soldier" posts(top) and align into the recessed guide holes located on the base of each barricade. 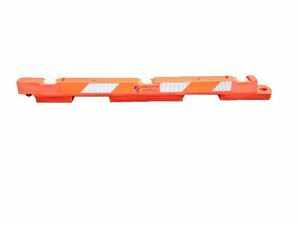 GD7240 barricade is molded, assembled and manufactured in the United States of America. 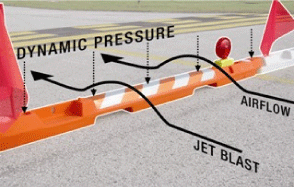 FAA performance specifications require all airport barricades used on the airfield to be low (18in. maximum height), collapsible, high-grade reflective alternating orange-white sheeting, one(1) FHWA approved red flashing safety light(night), and a 20in x20in safety flag (optional). One year warranty covering materials and workmanship. Minimum purchase quantity is eight (8), for quantities greater than twenty-five (25) please contact our customer service team. Airport barricade safety flags are made of heavy duty nylon coated vinyl material and include a ruggud stiffer. 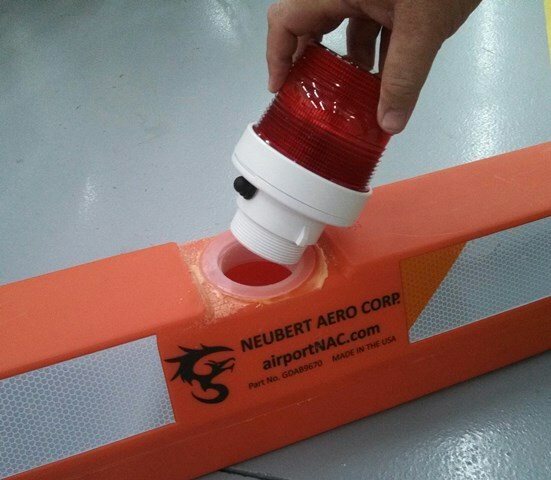 All Contents Copyright © 2019 Neubert Aero Corp. . All rights reserved.